Nowadays, the term, the Industrial Internet of Things, has become increasingly more pervasive in the context of industry as digitization has become a business priority for many organizations. So what is the Industrial Internet of Things? 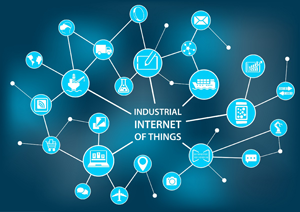 The Industrial Internet of Things (IIoT), also known as the Industrial Internet, brings together brilliant machines, advanced analytics, and people at work. It's the network of a multitude of devices connected by communications technologies that results in systems that can monitor, collect, exchange, analyze, and deliver valuable new insights like never before. These insights can then help drive smarter, faster business decisions for industrial companies. The IIoT is transforming industry —changing the way industries work. Whether it's enabling predictive analytics to detect corrosion inside a refinery pipe, or providing real-time production data to uncover additional capacity in a plant, or driving visibility and control over your industrial control systems environment to prevent cyber attacks, the IIoT—and the software solutions powered by it—are driving powerful business outcomes. 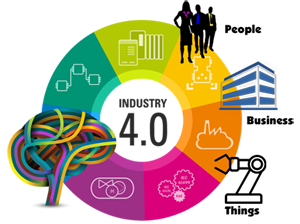 All Browser Based Applications Developed by DreamSoft are IIoT Based Solutions. Client can decide if he wants to install them locally or on Cloud. DreamSoft is ready for Futuristing Cloud Based Solutions.